Social CirKISH pays tribute to one of his mentors, John C. Kish, a former owner of the Skyline Casino in Henderson and philanthropist who died in 2007. 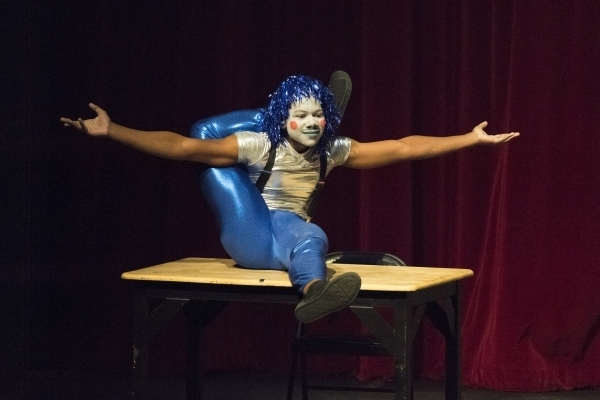 Matthew Frazier received a standing ovation after the Social CirKISH Student Showcase performance on Saturday afternoon — and he never even stepped on stage. 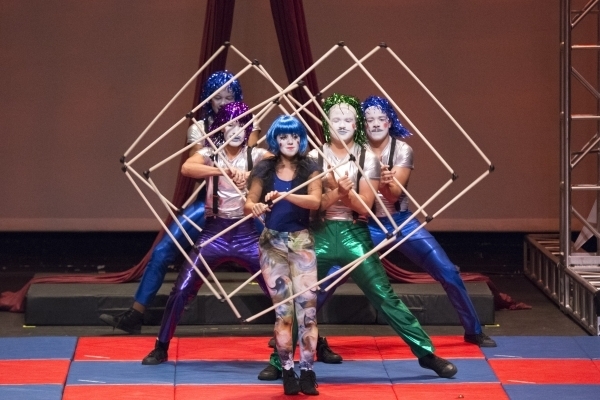 Frazier, a 15-year Las Vegas resident, started Social CirKISH three years ago to teach circus arts to at-risk youth. 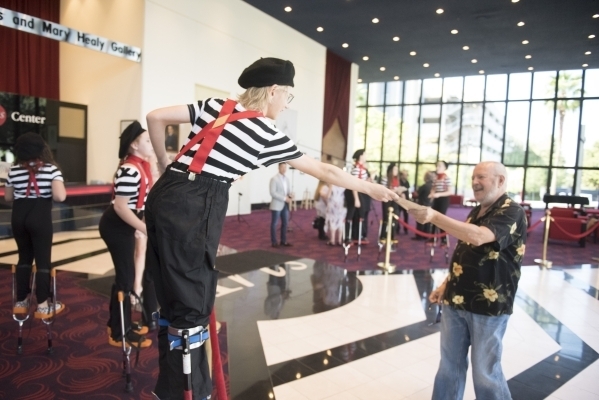 His dream came to fruition Saturday as more than 20 people, ages 12 to 20, performed in front of their friends and family at UNLV’s Artemus W. Ham Concert Hall to wrap up the summer program. 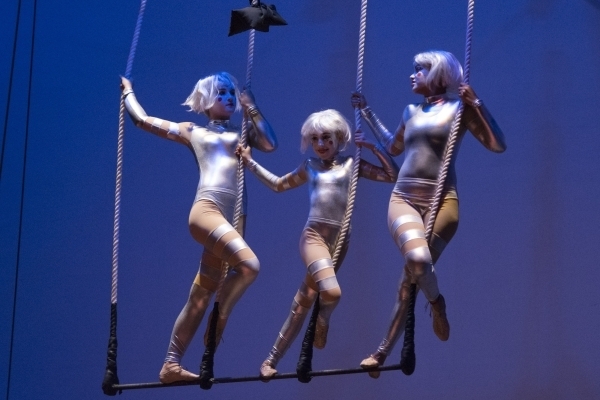 Students walked across the stage on stilts, jumped through hula hoops and swung from a trapeze. Star Acosta, 12, a seventh-grader at Charles Silvestri Junior High School, was the youngest of the group. “I was nervous to be the youngest and at first it was scary being with high school students, but it was an amazing experience,” Acosta said. Acosta said Social CirKISH helped her expand upon her love of gymnastics, which she practices four days a week. Cindy Agrelo, 18, graduated from Del Sol High School in June and is looking forward to pursuing criminology at College of Southern Nevada starting this month. She also hopes to continue performing. Frazier is a trustee for the John C. Kish Foundation, a scholarship endowment fund managed by the College of Southern Nevada Foundation. He dedicates much of his time to philanthropic organizations, including the University of Nevada, Las Vegas Foundation Board, Smith Center for the Performing Arts, College of Southern Nevada, Animal Foundation and Public Education Foundation. 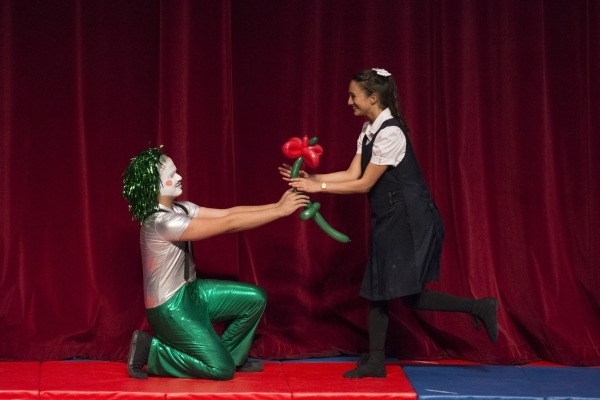 Social CirKISH has taught circus acts such as gymnastics, juggling and the art of balloon making to nearly 100 elementary- and high school-aged kids. Frazier said the organization relies on a team of up to seven coaches who are former or current performers. Carly Sheridan, who is in charge of coaching and curriculum and production development for Social CirKISH, said watching the kids evolve is especially gratifying. Social CirKISH operates its programs at Del Sol High School, the Gay & Lesbian Community Center of Southern Nevada and C. T. Sewell Elementary School in Henderson. Frazier hopes to grow the organization throughout the Las Vegas Valley.